Anyway, there are tons of really awesome apps that are now available and I rely on them a lot to teach my kids. Like this one from Montessorium! 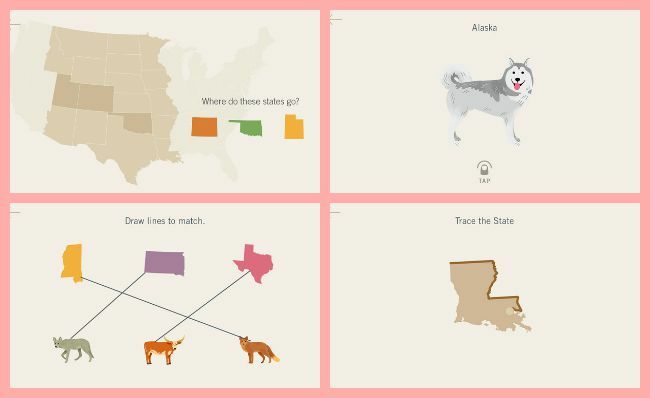 Brief Description: An interactive, bilingual app that teaches children to identify the 50 states. My son loves learning which animals are associated with each state. The ability to progress from group to group through six short activities. He also likes the graphics and the interactive activities such as dragging the states to the place where they belong on the map. 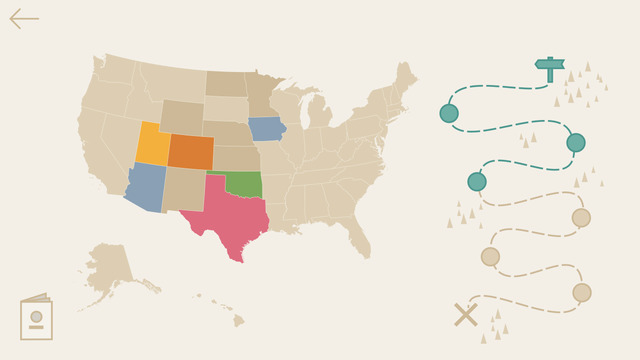 This app uses repetition to help kids memorize not only where each state is located on a map, but also the shape of each state. I like that I can increase the difficulty of the app by choosing the number of states they are learning about at one time. The options are 3 (shown), 6 or 9. I also like that I can change the language in the settings to English or Spanish. Unfortunately, it is only available for iOS and I know that most Spanish-speaking families own Androids. Disclaimer: I received this app for review. All thoughts and opinions are my own. I shared this on my Mommy Maleta FB page. I agree that it is so important to encourage kids to learn geography. And there are so many fun ways to do it!